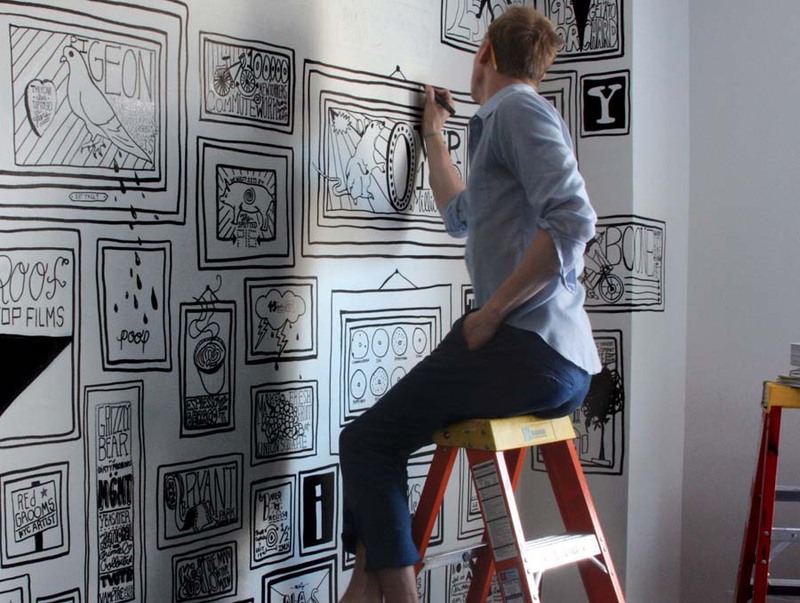 New York based Timothy Goodman is a designer, illustrator, art director and teacher. 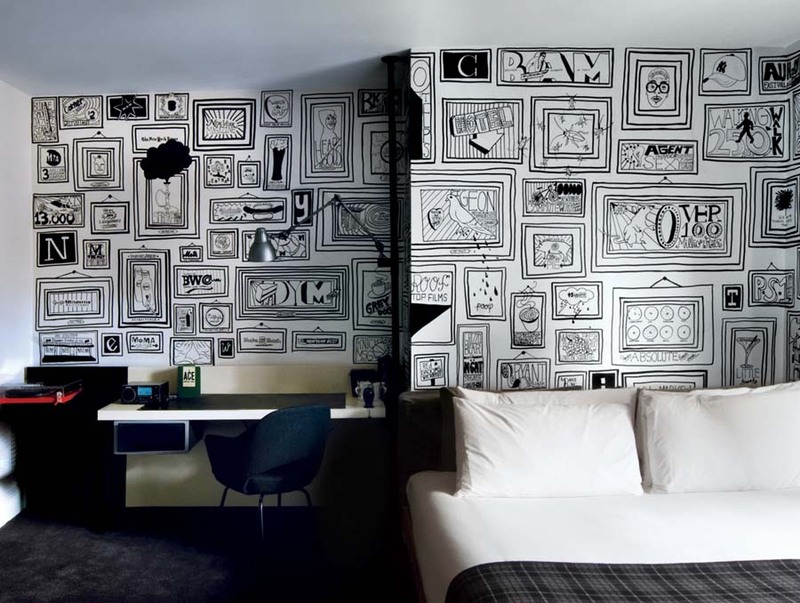 For the Ace Hotel in NYC, Goodman hand drew 99 picture frames creating a dense wall of ‘discovery’ about NYC for the common tourist staying in the room. Each frame contains a different fact/love/thing/tidbit/or place that the artist likes in the city. At roughly 120 feet, the art was drawn imprecisly to capture the spontaneity of the city, using markers and opaque black paint. This entry was posted in Art, Fun, Graphic Design, NYC, Pop Culture, Street Art, Stuff We Like, Typography. Bookmark the permalink.